Some people love the rains, some love a sunny day. But we all like a mellow sunny day after a long rainy season. And just like people the animal kingdom too rejoices the golden warmth of the autumn Sun. 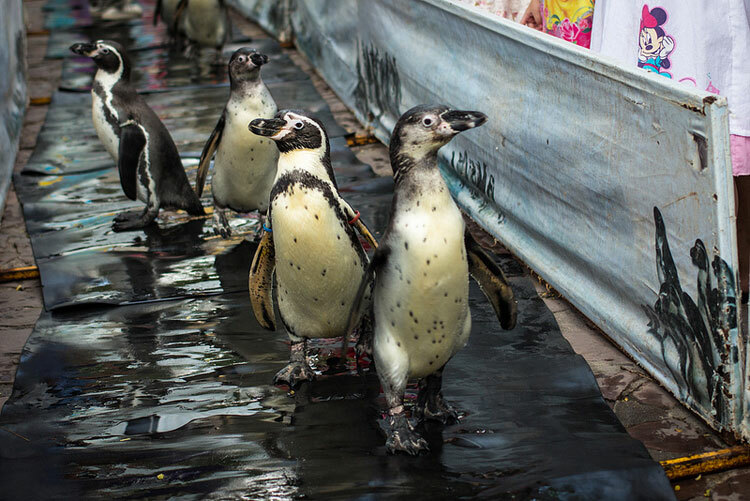 At Khao Kheow Open Zoo, our trainers are in full preparation to unleash the chirpy Humboldt penguins out in the sun. Native to the coast of Peru and Chile these penguins simply love to bask in the sun. Due to the rainy season they were mostly kept indoors, where our trainers made sure they had enough exercise and feeding to keep them active and far away from monsoon blues. Humboldt penguins grow up to 65 centimeters and weigh around 4 kilos thus making them a medium sized penguins and easy to handle. These birds a very social and easily welcome human contact. They need plenty of stimulation and need to feel loved. The diet comprises of majorly of saltwater fish and they are able to drink saltwater too. As they reside mainly on the rocky costs of South America their feet are webbed with claws on their toes to be able to climb over rocks and cliffs. These penguins are named after the naturalist Alexander von Humboldt and the most prominent way to identify a Humboldt is that they have a peculiar black horseshoe shaped band on their front and a white stripe on their head. They are swift swimmers reaching speeds up to 32 km/hr (20 mph) and have excellent eyesight both underwater and on land. 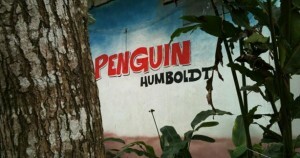 Like many precious natural phenomenon Humboldt Penguins too are facing extinction. Some there major predators include humans, leopard seals, sharks, killer whales, fur seals and sea lions. Eggs and chicks are also vulnerable to snakes, foxes, cats and dogs. Today their population is estimated to be between 3,300 and 12,000 individuals. The zoo is planning a special event on the 23rd October 2013 called the “Come Back Penguin” for this unique bird. The penguins are going through practice sessions with our trainers to give a spectacular you view. So don’t miss this come along to Khao Kheow Open Zoo and have a bright sunny day with the cutest creatures, Humboldt penguins.